The Chinese of Shiver Without Being Cold--Bu Han Er Li is 不寒而栗, and Pin Yin bù hán ér lì. Emperor Wu was the fifth ruler of western Han Dynasty (202 B.C-9 A.D) who is cited in Chinese history as one of the greatest emperors because his effective governance made the Han Dynasty one of the, if not the most powerful, nations in the world. Before Emperor Wu, the dominant ideology of Western Han Dynasty in governing country was Taoism which advocated governing by doing nothing that goes against nature. As a result, the government of Western Han Dynasty tried their best not to interfere with the nongovernmental economy and civilians's life, which indeed contributed greatly to the rapid economic restoring and social prospering in the early stage of Western Han Dynasty. However, the central government's inaction also led to serious land annexation and the overrunning of local tyrants and evil gentry. Some aristocrats, local officials and big landlords worked in collaboration with each other to seize land and force small farmers to became their tenants. To restrain those unprincipled fellows, Emperor Wu assigned many capable minsters as governors. These ministers were not only great at law but also courageous and resolute in fighting against crimes. A big proportion of them became famous ministers enjoying good fame in Chinese history, such as Ji An (汲黯). But some of them, due to their over-reliance on cruel punishment, were remembered as infamous and merciless officials by later generations, such as Yi Zong (义纵). Yi Zong was once a gangster at his early age. Later, since his sister gained the favor of Emperor Wu's mother, he was appointed as the magistrate of Shang Dang, a remote county lawless in the streets. After installing himself, he at once took drastic measures to re-established law and order. In a short time, all kinds of crimes faded out in the county. At the following official assessment, Yi Zhong made the top. 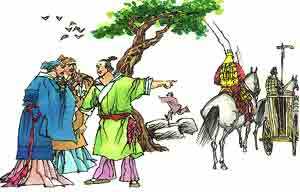 Therefore, he was promoted to the mayor of the capital in which he strictly enforced the law and severely punished aristocrats who violated law and discipline, even including the son of Emperor Wu's sister. His performance helped him win the favor of Emperor Wu who thus promoted him to the governors of large Prefectures. Basically, what Yi Zong did was good for ordinary people, but as a well-known merciless official, he had done some things really too much. For example, when he governed the Ding Xiang Prefecture, to quickly establish order, he killed 400 people in one scoop. Half of them were convicts in prison who had committed felonies but had not yet been punished, while the other half were the convicts's kins and friends, some of who might be trying to bribe the local officials, but the other of who only visited the convicts without authorization. From then on, Yi Zong had been the nightmare of people in Ding Xiang, and whenever his name was mentioned, they would shiver with fear, although they were not cold at all. It was said that under his rule, people even dared not pocket things found on the road because they were afraid of being punished as a thief. 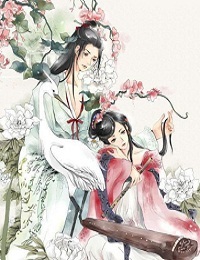 This Chines idiom story is from "The Records of the Grand Historian (史记)". The idiom of Shiver Without Being Cold--Bu Han Er Li refers to being scared.